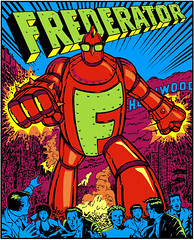 The Frederator Studios Blog: It's official. longtime viewer, first-time poster. I was wondering: would you accept ideas from outside the U.S.? I guess I'm asking this question for the sake of us broke creative-ish type folks in Southeast Asia who probably have a couple of ideas to toss, but no money to spend for a plane ticket to LA to make the pitch. I'm sorry I didn't reply, but for some reason there wasn't a prompt at my email about your question. 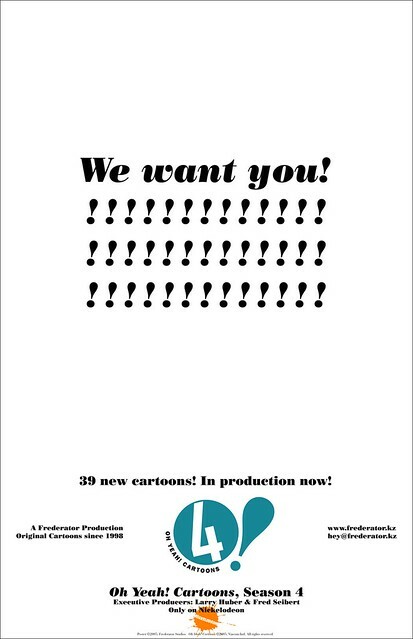 You can email our development colleague, Melissa Wolfe at hey@frederator.kz.